From Zulfikar Ali Bhutto to Nawaz and now Imran Khan, the blue-eyed boys of the military have kept changing, but what has remained constant is the Pakistan military’s control over civilian government. The prime minister is the boss, not the army chief. This is what the constitution says.” In hindsight, it seems that there will be no remark former Pakistani Prime Minister Nawaz Sharif will regret making more than this one, said around the time of his 2013 election victory. The seeds of discord and power struggle between the civilian government and the army sown since 2013 finally culminated in the passing of three judgments. The first two judgments were by the Supreme Court of Pakistan—the first led to the removal of Nawaz as prime minister last year; subsequently the second judgment led to his permanent disqualification from holding any political office, including his right to be the president of his own political party, the PML-N. The coercive role of the military establishment behind the aforementioned three judgments cannot be understated. Nawaz’s ouster and subsequent annihilation are no departure from the culture of democratic murder seen in Pakistan, where no prime minister has completed his full term, with the first peaceful democratic transition from one civilian government to another having taken place as late as 2013. From Zulfikar Ali Bhutto to Nawaz and now Imran Khan, the blue-eyed boys of the military have kept changing, but what has remained constant is the Pakistan military’s control over the civilian government. Last year, the Supreme Court of Pakistan disqualified Nawaz as prime minister on grounds of “violating Islamic injunctions” under Article 62 and 63 of the Constitution—introduced under the military dictatorship of General Zia-ul-Haq in 1985—which requires a Member of Parliament to be possessing sagacious virtues (the Prophet’s virtues) of being ‘ameen’ (honest) and ‘sadiq’ (morally upright).The judgment was an antithesis of the spirit of rule of law on many counts. While Nawaz’s involvement in the Panama Papers case was still not proven, the Supreme Court of Pakistan, it seemed, was on an all-out fishing expedition against him. The shocking grounds for the dismissal lie in his failure to declare a sum of 10,000 dirhams (a measly sum by all yardsticks) that he was entitled to receive, but indeed never received, as the chairman of a Dubai-based company. More shocking, however, was the blind acceptance of the findings of the joint investigative panel’s report by the Supreme Court of Pakistan. It is pertinent to note that two of the six members on this panel were members of the armed forces and were also involved in previously investigating Nawaz’s government over the Dawn media group leaks, thus clearly having reasons to be biased against him. The blanket denial of the right to free and fair trial, a prerequisite to the concept of rule of law, was indeed unprecedented and points towards a larger trend of tacit support of the judiciary for the military. Can the ingenious “doctrine of necessity” evolved by the Supreme Court, designed to validate military coups, ever be forgotten? The Supreme Court subsequently imposed a life ban from holding any political office on Sharif. Article 62 (1)(f) nowhere mentioned the quantum of punishment. In a clear case of excessive punishment, the apex court, departing from past precedents of one year and five years punishment, went on to impose a life ban.The issue before the National Accountability Court was of a limited nature: Whether the four undeclared apartments in London were procured by corrupt, dishonest or illegal means. The motivated intention of the judge was at full display by the fact that despite acquitting Nawaz of the charges, he was yet convicted for his failure to explain how he came to own the properties in question. Nawaz, at least in recent memory, was the most pro-development and pro-peace PM of Pakistan. A major reason for his strained relations with the Pakistan army was his desire to have peaceful relations with India and Afghanistan. The Dawn media group leaks of 2016 highlighting the rift between the civilian government and army, over the latter’s use of terrorist groups against India in Kashmir, is a clear case in point. With a resurgent army and the consequences of taking on the army aptly visible to the civilian leadership, the army’s increased say in foreign policy is but, a natural corollary. 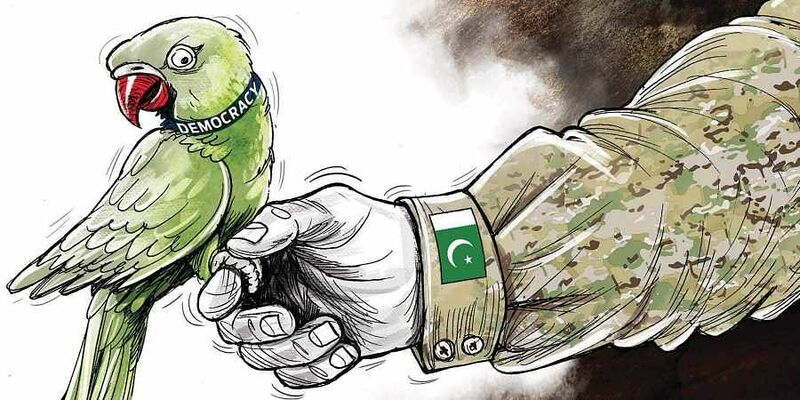 Foreign policy is synonymous with security issues handled by the army and has been a tool employed in legitimising the army’s control over the country. Projecting India as a perennial existential threat while looking at Afghanistan as a strategic deep asset serves the interests of the army well by drawing attention away from its own domestic failings. Pakistan desires to have Afghanistan as her client state. Her support to insurgent groups like the LeT, Haqqani network and Mullah Nazir network is well documented; this support is likely to only increase further. Due to Pakistan’s new domestic equations, India and Afghanistan getting targeted further is very likely. It’s about time that India stands shoulder to shoulder with her beloved ‘Kabuliwalas’ and strengthens her security co-operation with Afghanistan even further.